What if I could reveal EXACTLY where and why (even smart people like you) get stuck before they’ve even built their first online course—and the two ways to level up so you never get stuck again? That would be pretty valuable, right? Over the next paragraphs, that’s exactly what I’m going to do. Get ready, Course Builder, to Level Up. If everything goes well, I’ll change the way you think forever. 1) I have a lot of options, and I don’t know which niche or topic on my list to select. Which niche will be successful? Which niche will be best for me? 2) I know my niche and topic, but I can’t figure out how that translates into a customer. 3) I know my niche but can’t get it narrow enough to appeal to a single customer, because I want everyone to buy. 4) I don’t know how to reach my niche and my people, but I do know what the niche is and who my people are. 5) I’m talking to my niche/audience/buyers but nobody’s listening. When you realize you’re stuck, what do you do? You “try even harder,” digging a hole for yourself as you try to find the answer. Hey, it’s down there somewhere, right? All this grief is actually your chance to see reality and learn more about the situation. 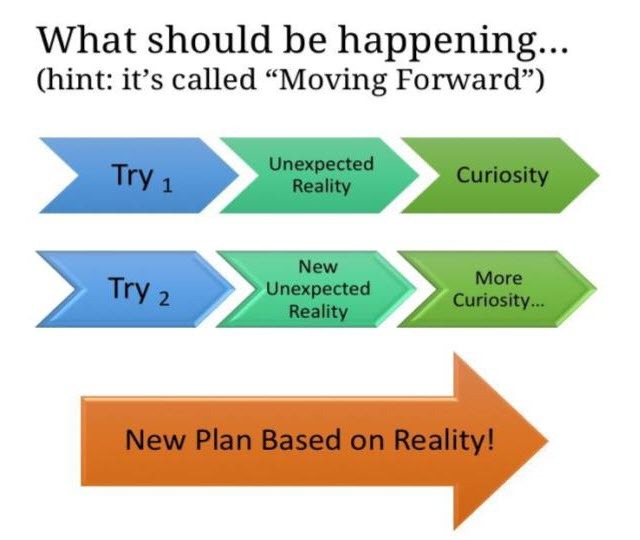 Instead of doing the same thing over and over, you’re better served by moving forward and trying something new. This is where things get fun. Being stuck is miserable, but you’re moving toward a new reality. Level-Up Truth #1 The solution to being stuck (because there is one) requires a special kind of ingenuity + logic that allows you to “outwit” the illusion of being stuck. When it came to building your first course, you probably thought you had a list of tasks to check off, a well-behaved task list. Yes, no, done or not done. Take some action, complete a task, and move on. Some employees do have a task-list job. But shocker, that has never described the role of entrepreneur nor does it describe building an online course business from the ground up. The game you should be playing is a lot more like Survivor Island (outwitting, outplaying, and outlasting) than it is about completing a list of To Do’s. And, just like on Survivor, they weren’t joking about that outwitting part. If you don’t outwit, there’ll be no fish or rice for you. Only sleeping on the cold beach, in pouring rain…. And that leads us to the second way to Level Up. I know you don’t believe me (yet). That’s because we’ve been using our brain all our lives, and it’s worked for us so far, right? Okay, don’t slap me for stating the obvious, but thinking isn’t the same as Sherlockian-level logic. So, in Leveling Up, we’re not talking about just thinking. We’re talking Logic with a capital L.
And we’re also talking about something most people have never heard of, so lean in closer, because even Logic with a big L will only get you so far. The word for that is a Pattern (from the noble profession of Software Engineering – geeks of the world, unite). And Logic’s worst enemy? The Anti-Pattern, the “logical” plan that is known to lead to failure… and yet it’s used anyway. There are a lot of different Anti-Patterns, and they all have cute names, as you’ll find out later. If you know about this Anti-Pattern thing, suddenly you wield power others do not. Your power is the ability to disengage from what doesn’t work (semi-rationalized logic that moves you toward failure) and move toward what does work (solution-level Logic that moves you toward Success). So choose Patterns, not Anti-Patterns. OMG, right?! Up until a minute ago, you didn’t even know this Anti-Pattern thang existed…. What if you’ve accidentally been using anti-logic all this time? Here’s a trick that will help you recognize both Being Stuck and Anti-Patterns: they’re absolutely rife with drama. You know what’s not filled with drama? Notice, not a lot of drama here. Just the realization that reality has provided new information. The solution to the new information is that Sherlockian Logic thing, and Sherlock was not a drama queen. You know you’re using Logic when, suddenly, there’s no drama. Time to solve the 5 ways (even smart people like you) get stuck before they’ve even built their first online course. How? By Leveling-Up so we can outwit with Sherlockian Logic and Patterns. Situation Sob! I have a list of options, and I don’t know which niche (or topic) to pick for massive success! Illusion There’s only one right niche, one right topic (and “one ring to rule them all”) that could possibly be successful (a six-figure launch! ), and all the others will lead to utter and complete failure. Oh, the drama. Anti-Pattern #1 You obviously need a Silver Bullet.This is the Anti-Pattern we mentioned above. How “right” is the Niche/Topic answer you’re looking for? Why, it must be “Silver Bullet” right! Dude, you can’t find what doesn’t exist. There is no “one right” Silver Bullet. I know this is true, because there are Course Builders who have (gasp) built several different, successful courses. Sherlockian Logic and Outwitting: Which niche/topic is the perfect niche/topic? It doesn’t matter. Moving forward is more likely to succeed than being stuck. Situation I know my niche or topic, but I can’t figure out how that translates into a customer. Whatever shall I do?! Illusion I have my niche “thingy” (product-service-topic) all figured out. I know I’m right, because this is what I want to do, and I know a lot about it. But no matter how hard I shake the niche box, I can’t make my avatar-person fall out of it! I even use the right words and say “niche” and “avatar.” Why doesn’t this work?! Oh, the drama. “If you build it, they will come.” You’re working from the starting place of, Hey, this is what I want to do, so customers will magically show up (by walking out of a field of corn). This is the Field of Dreams Anti-Pattern that is so miraculous when it’s true (in fiction), so inspirational, that you count on it being true all the time in reality. Bottom line: Your viewpoint seems to be, If Kevin Costner were here, he’d make this whole thing work. Stop shaking the niche box. Stop expecting magic. You’re not using your niche to invent people out of thin air, you know. And, if you’re finding mystery on the answer side of things, you might try asking a different question. So why are you asking that? Still don’t know? Be curious! The question side is ALWAYS mysterious. Can’t solve a good mystery if you’re not curious. Sheesh! Have mystery novels taught you nothing? Curiosity: Oh, I wonder why I can’t find the people who are suffering? Where are they really? What’s going on with them? I really want to understand this. And you thought marketing was sleazy. So, not sleazy. More warm puppies and chocolate, really. Situation I know my niche or topic, and I can’t figure out how that will appeal to a single group or type of person. I want everyone to buy! They’ll all want this! “All We Need Is Monkeys in a Room.” This Anti-Pattern comes from something I heard a manager say, back in my software engineering days. It means all coders are interchangeable. Coding doesn’t require much skill. All project difficulties can be overcome by just getting more interchangeable monkey-cogs for our corporate machine. Can we be honest for a moment and notice that there’s a certain je ne sais greed and ode de arrogance behind the whole concept of “I can’t possibly narrow down my customer/everyone will want this/I will be massively successful” shtick. Sherlockian Logic and Outwitting: Beyond that, there is some debris of logic to clean up. First, you’re confusing what you want (the result of having sold a lot, to a whole lot of people), with what the buyer controls before that happens (their brain and what they choose to be interested in). Second, you have a math-logic error. 100% of all the people who buy are, yes, interested in a specific niche/topic/course. But probably only .0000001% of all the people who could’ve bought were interested, to begin with. Maybe less. Could versus Do is a big difference. And third, the brain of the buyer (aka human being) resists being lumped together like cogs and called a group of monkeys. A buyer is a flesh-and-blood individual, deciding personal interest level, one thought at a time. Since that righteous moment in 1999—when The Cluetrain Manifesto seized back our power as human beings (and consumers) and announced to corporations, “We are not seats or eyeballs or end users or consumers. We are human beings and our reach exceeds your grasp. Deal with it.”—even old-school advertisers have had a go with the whole “people come first” theory. Bottom line: You’re a human being talking to another human being. It’s not crazy to ask you to know who that human being really is. And it’s probably good for you to realize that everyone you talk to about your “thingy” does not think wow-totally-amazing-let-me-buy-that. So why not figure out who your buyer really is and stop wasting your time on Crack Dealers and Zombies. “I’m Stuck” #4–Hello, Hello, Bueller…. Situation I know exactly what my niche is and who my people are, but I don’t know how to reach my niche and people. How, oh, how?! PS It’s kinda cool that fables are just anti-patterns with a story. Opinions, decisions, and facts. Not the same thing, let’s start with that. Also, it’s foolish to ignore the truth. Sherlockian Logic and Outwitting: It all started with the phrase, “I know exactly.” That sounds so-very-much like a fact, doesn’t it? It’s not. You’re talking about the decision you’ve make on your niche, topic, and avatar. Then the outcry, “But I can’t find them!” Another fact? You see, there’s this thing called Google (or Alta Vista, remember that one?) that knows how to find things on the Internet. And there are hundreds of other general and specialty search engines. Google knows where the mall is. Google can find Robert’s arrest record. But only if Robert and the mall exist. Here’s the Mr. Obvious truth: You either don’t know how to search (which is fair, as there are some kewl tricks) or you’re wrong about “this” being a viable niche, topic, and potential-buy avatar. Because, seriously, they’re not hiding from you. So, if they’re not hiding and you can’t find them online, the reality that is bumming you out is that reality doesn’t match what you want to be true (invisible clothes for everyone!). “I’m Stuck” #5–It’s a Plague of Crickets! Situation I keep talking to my niche/audience/buyers but nobody’s listening! I know how it’s supposed to work: when I speak, they listen, read, and share. They can’t wait for my emails, my posts, my bon mots. In fact, they’re always there, waiting to spring into dialog with me. My slightest question generates a flood of sales-friendly engagement. And it’s all so easy! So what’s wrong that no one is paying attention?! This is outrageous! This is the Iterative Golden Hammer Anti-Pattern, my version of the Golden Hammer that adds the nuance of, hey, if you have a hammer, not only is everything a nail, it’s the very same nail. Keep whacking that thing. I don’t know what’s wrong, but it should be easy. What’s wrong with them?! There it is, the Blame the Victim anti-pattern. I call this variation, You’re Making Me Work Too Hard Which Isn’t Fair. Sherlockian Logic and Outwitting: Let’s untangle this. The problem comes down to Insanity. Just ask Einstein. You’re doing something and it’s not working, over and over again. You could… try something different? Sanity perhaps? A TRICK I INVENTED: Ask your question and add “at NASA” to the end of the sentence. Suddenly, you’re outside your small pond and thinking about getting an answer that really holds up. HINT 2: There’s usually a future (what you want to happen) and a past (what’s been happening) version of your question. HINT 3: Don’t assume you nailed quality in whatever you’re doing. This is so easy to overlook. It’s easy to say, “I’m sending all these emails and no one is listening!” and then have people suggest all sorts of other things you could try. But, how epic were those emails? The subject lines? The list nurturing over time? And so on. Writing great engagement emails is a real skill. Everything has a skill level attached. Remember, you don’t get a check mark for writing an email. This is Survivor “outwitting” Island and Sherlockian Level Logic. Are You Thinking Differently Now? I hope so. Because I want you to succeed at building your Course Empire. 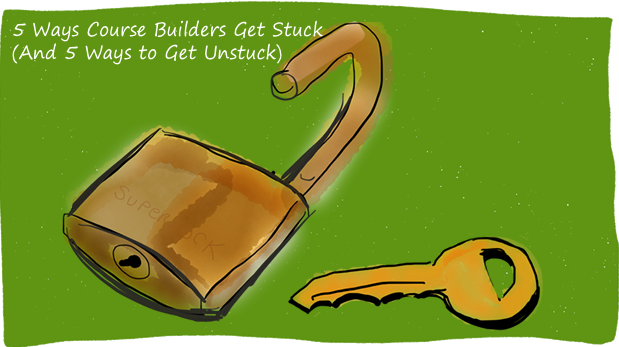 As odd as it seems, your ability to succeed comes down to how you handle getting stuck. Getting stuck happens all in your head. It’s a thinking problem. 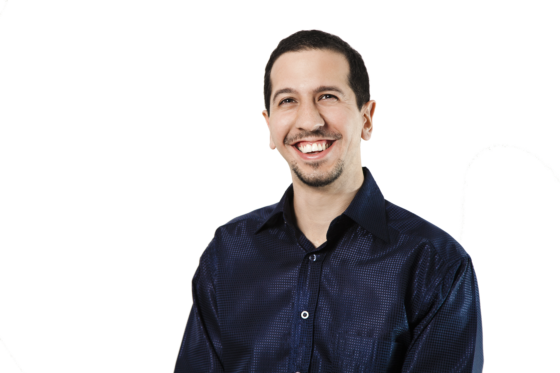 So, do the things that will put you in the same company as Danny Iny and so many other Course Builders: use expert strategies, Level Up, and take action that moves you forward without one whiff of drama. What Anti-Patterns keep you spinning your wheels? 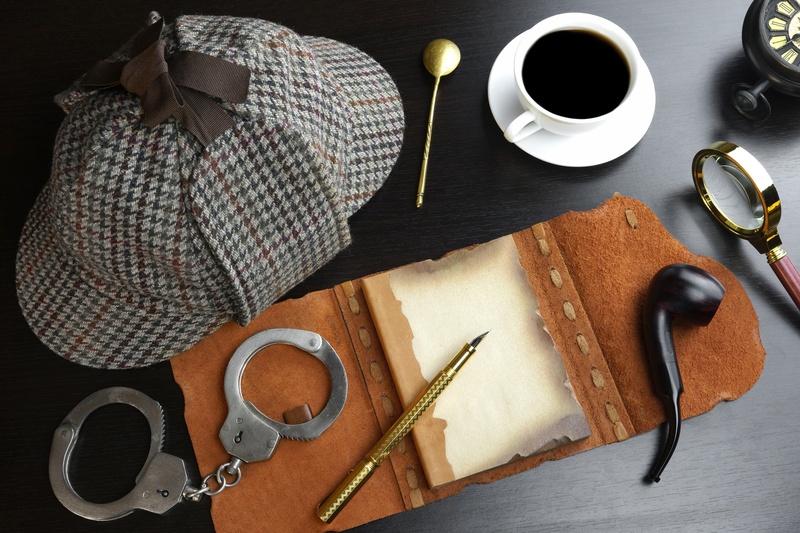 What Sherlockian Logic will you use to finally move forward with your online course? Pure genius. You put into words and graphics exactly what I’ve experienced. And outlined how to fix it. Thankful! Glad to read your interesting post and I’ve found you have scattered very beneficial points in this post which we need to understand in deep. 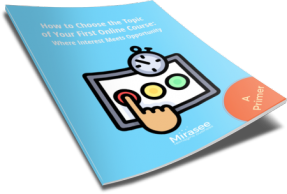 Now-a-days, many of us want to develop a effective online course in order to maximize their earning. And it is also a great thing to share our opinion and thought with others. But almost time commonly seen they stuck when it comes to select a perfect niche for their courses. Our niche should be like effective to our customer so that they get satisfied with us. I have read many different post regarding this topic but your post is really special and beneficial to grow online business. You have simply make us understand whole thing with this post, its very creative in nature. Eventually, thanks for sharing your best ideology regarding this topic. What can I do to be successful…? But, you really have no way of distinguishing beforehand that a solution will yield positive results from one that will lead to failure—a pattern instead of an anti-pattern. My question is: how can anyone be certain that they will come up with a viable plan the 3rd time around? Actually, you can keep on trying new ways and still feel stuck at every step for quite a while…until you find the right plan; or, you get exhausted, you give in, and then you decide to try a new way or to get help…. Yes, we have to learn to let go instead of trying harder when it becomes clear that we’re getting nowhere—easier said than done for some of us. But, when you do let go, it’s likely that you have convinced yourself (through exhaustion) that a true solution does exist somewhere. How long do we go on using the same plan before trying a new one? I think it will not be easy to find a real “logical” reason for quitting—initially anyway. What I can suggest is to also use your gut feeling. Why? Because using only logic can sometimes be misleading, as implied in your post. Again, whenever your plans fail, re-visit them, study your results, and use your findings to design new strategies until you succeed. The vital element here is “result.” You must decide if the results you get are acceptable to you. And, never give up unless you have a very good reason—I won’t use the word ‘logical’ here! Gut feeling “feels” better. “Outwit” implies that there is someone or something working against you, to get you to fail—or that you are doing it to yourself. That seems to me as being reactive instead of proactive. A better approach—mindset—would be to believe that there are infinite possibilities everywhere. That way, your mind will tend to seek new solutions instead of reacting to failures. You’re quite right. I have noticed that many people have a tendency to think that way. I even catch myself doing it at times. Unfortunately, this is what schools teach—being parrots! We are not taught to think critically. We need to question, analyze and assess information independently. Learning to do it as adults is not easy. Why? Because it’s not only a mental activity. It requires a change in behaviour and turning it into a habit. It’s a different way of viewing the world. It means seeing it through our own eyes, making sense of it, and having the courage to take action based on how WE experience it. Not necessarily as others view it. In my experience, after getting failure after failure, even when I am on to a plan that—I think—would yield good results, I am still feeling that drama as I am working on it. You can’t escape that emotional state until you have achieved success. And then, you build on that positive feeling as you continue working on getting better results—hopefully, by being free of drama. And with time, positive experience will make you feel better and better—more confident—and you will have discovered your own winning strategies to build successful courses. Catherine, There’s SO much I love about your 2 replies (part 1 and 2)! Thanks for taking time to think through the post and share your thoughts. I have really good news…. there is actually an answer that solves all 3 of these questions. First, I want to expand the summary you have of Patterns and Anti-Patterns. Patterns exist because people have encountered the profession, the project, and the situation before. We know what works. Anti-patterns exist for the same, except it’s a documented “solution” that does not lead to success. And we know this. We have metrics, lessons learned, best practices. Now on to your question! The BIG CHANGE folks can make right now is to realize they’re not on their own. Others have gone before them and actually know what works. The key is to follow what works, to learn from experts, to apply best practices… all of them (pretty much), for the situation you’re working on. If you’re failing, stop. Don’t do it again. If you don’t know the solution, either knowingly run experiments or actually seek out an expert. Thank you so much for replying to my article! I really appreciate it.